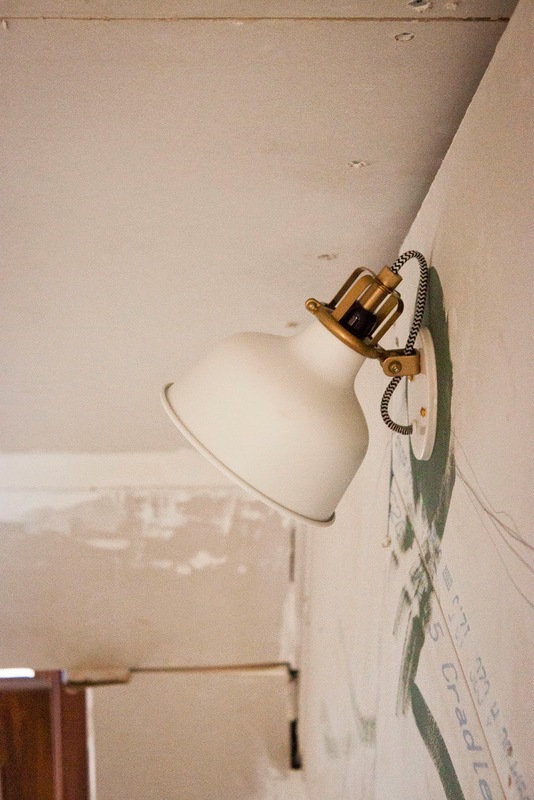 We chose Ranarp lamps for the hallway and the staircase, the large pendant model for the hallway, and the smaller pendant model for the two first landings, halfway to the first floor and on the first floor. 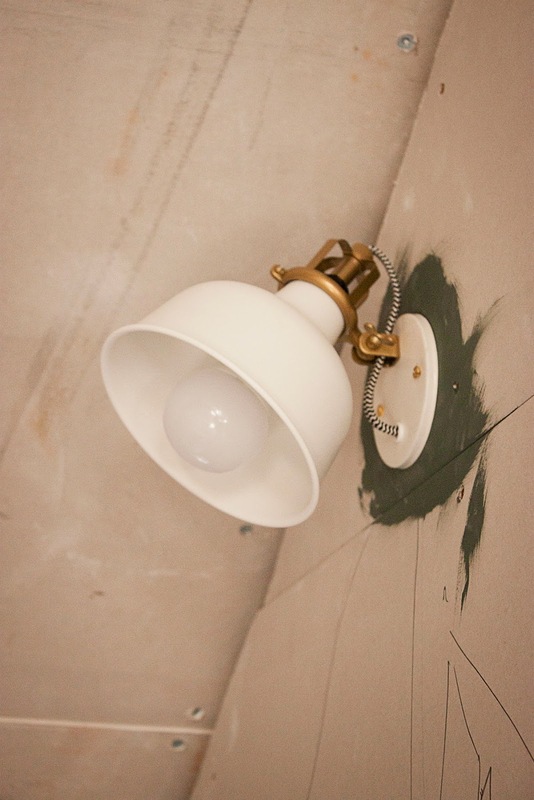 For the next two landings, between the first and the second floor and on the second floor, we have an inclined ceiling, and we did not want to install pendant lamps, but a couple of wall lamps instead. 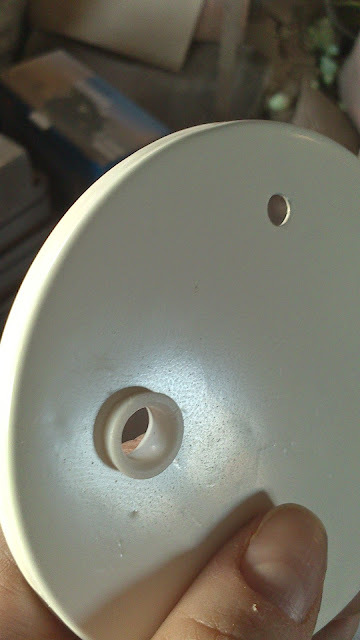 To make a long story short, I drilled holes on a candle holder plate: two for attaching to the wall with screws, one for the cable, and one for bolting the lamp to it. 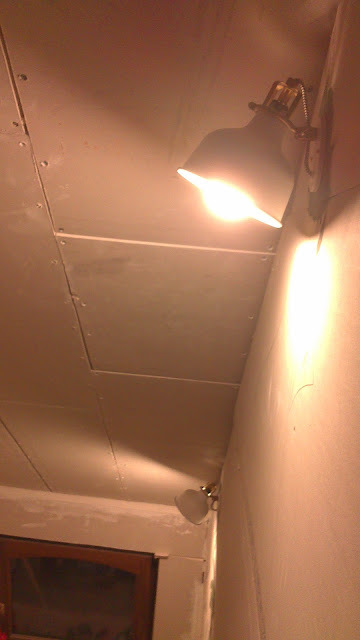 I removed the clamp part of the lamp, bolted it to the plate and then installed the lamp on the wall (with the help of a plug box). 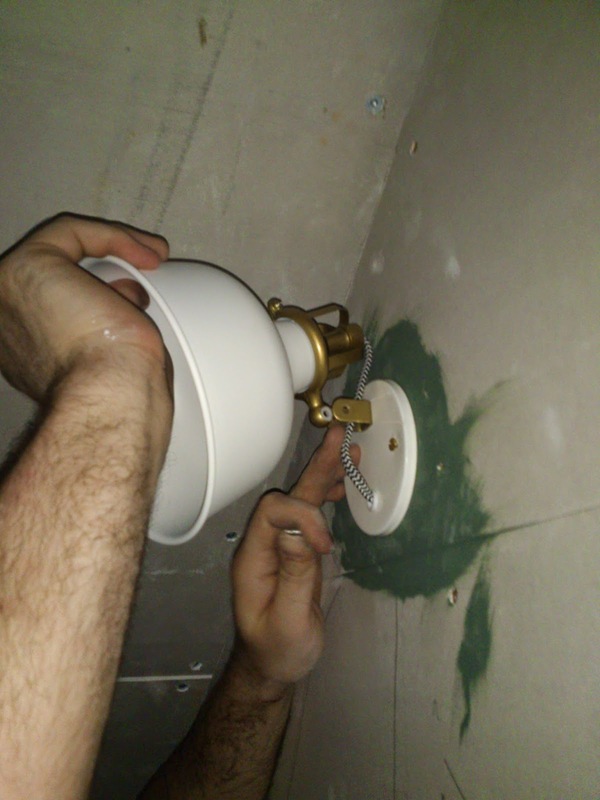 The most challenging part was, or could have been, to find a piece we could use as a base to attach to the wall. I thought perhaps at a home decoration store I could find a small metal dish for candles, flat, with straight, low raised edges (so, a very low cylinder, basically). I got very lucky and I found just that in the first store I looked (Casa, in Belgium, also available in Luxembourg, France, Spain, Portugal, Switzerland, Italy and Austria), but I can see how it could get difficult to find the right dish. 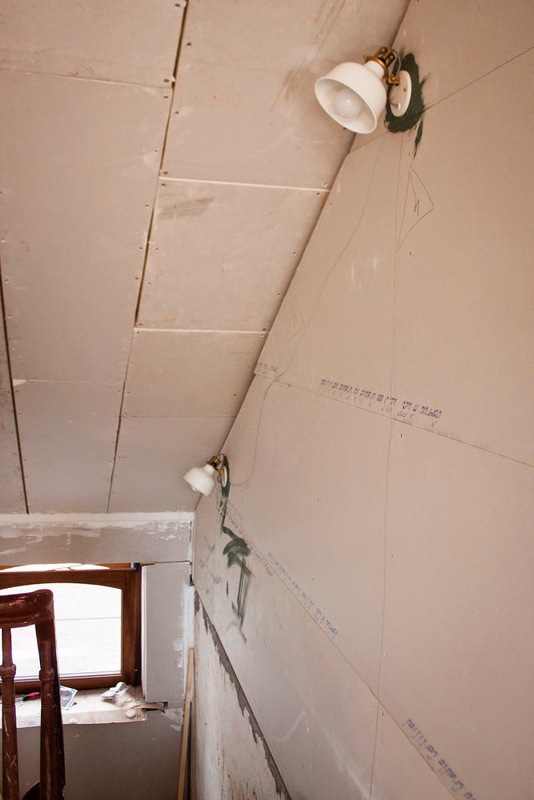 paint and marks for holes. 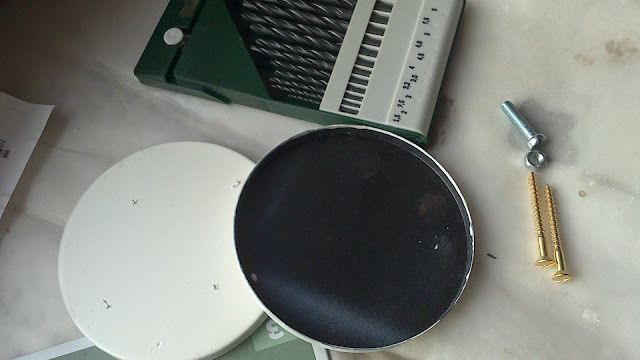 The dishes I found were black, and sturdy but thin (steel I would say), 9cm in diameter and about 6mm deep (might have been too shallow for a surface installation, to hide connections and cables within). They had some rubber anti-slip stickers at the base (what would become the surface in this case) and I removed them by pulling them off, then the stubborn residue with turpentine. 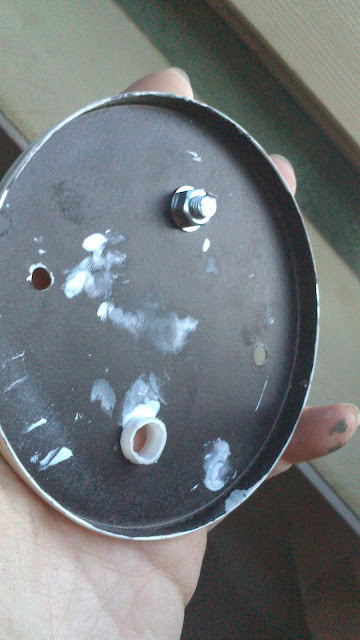 I then gave a couple of coats of white spray paint (I used RAL 9001 creamy white - not a perfect match, just what I had on hand), marked and proceeded to drill four holes on each plate. I guess I could better have painted all the layers of paint after drilling, but I didn't. 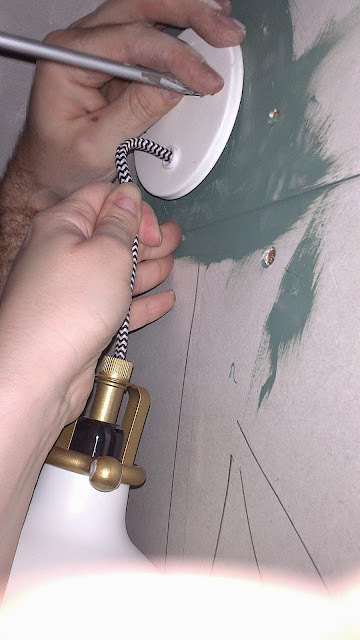 We drilled two holes along a line for screwing to the wall* (5 mm drill - the thickness of the brass screws we were going to use), and perpendicular to those along another imaginary line, one for the cable (9 mm, our largest metal drill, but I had to enlarge the hole with a file, so I would recommend 10 to 12 mm), and another one of 4 mm for the bolt that attaches the lamp to the dish. 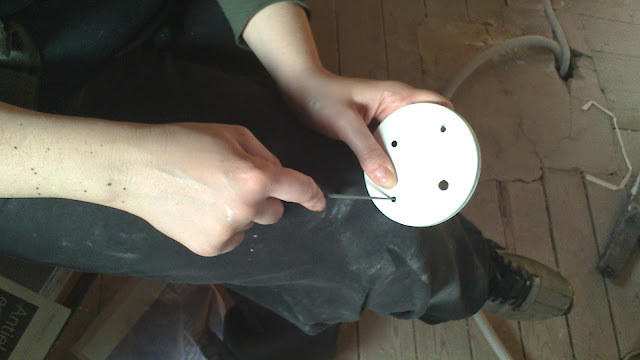 Marking the hole positions for the second lamp. 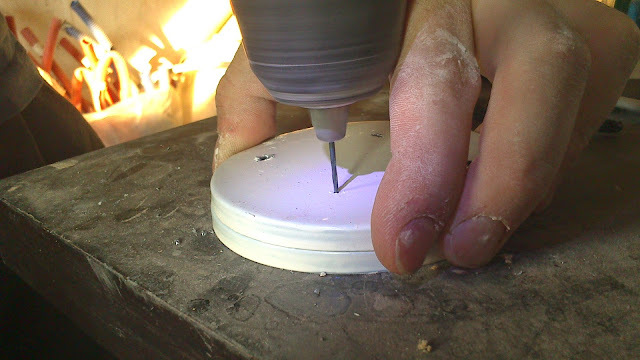 When drilling the larger hole, it is useful to drill a smaller hole first (easier to keep in the right spot) and then use the larger drill. 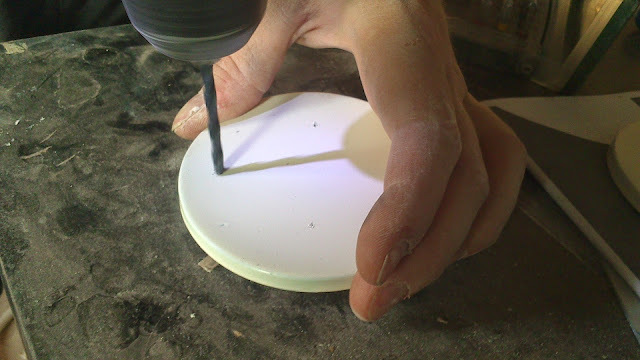 If hacking more than one lamp, it's also useful to drill one and then mark the second with the first as a template. I filed the edges of the holes smooth with a round jewellers needle file, and enlarged the 9 mm hole with a larger round file. Then came two more coats of paint. 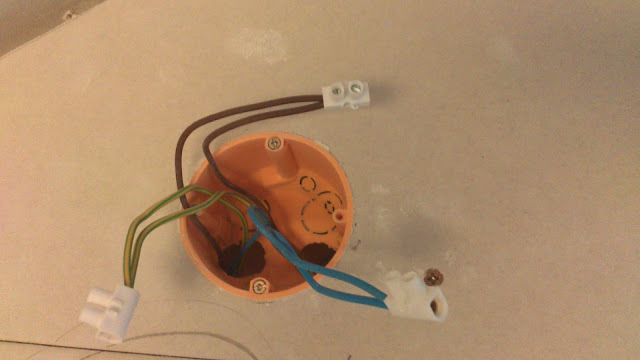 I covered the cable hole with a little piece of plastic left over from hacking another couple of Ikea lamps, I'll post about those if and when it turns out ok! 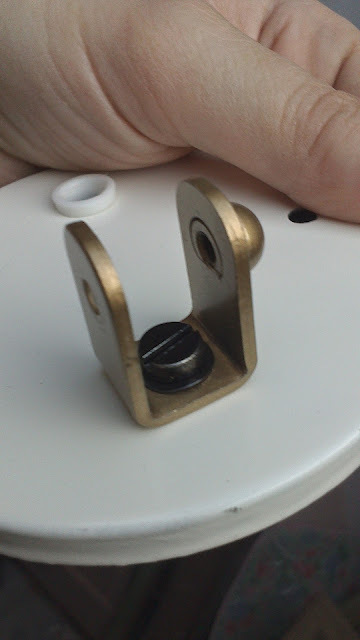 It is a nice finishing touch but not at all necessary if the edges of the cable hole are filed smooth. 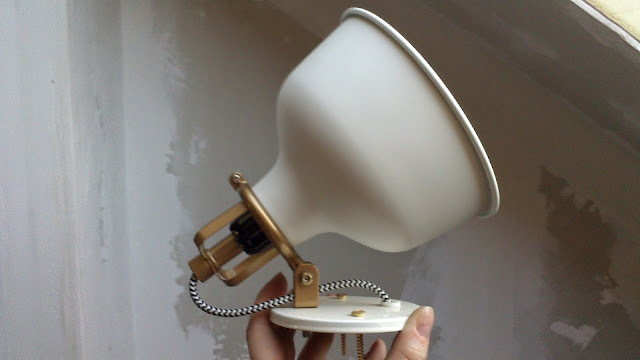 The purpose of this piece of plastic is the exact same on the original lamp (Kroby). 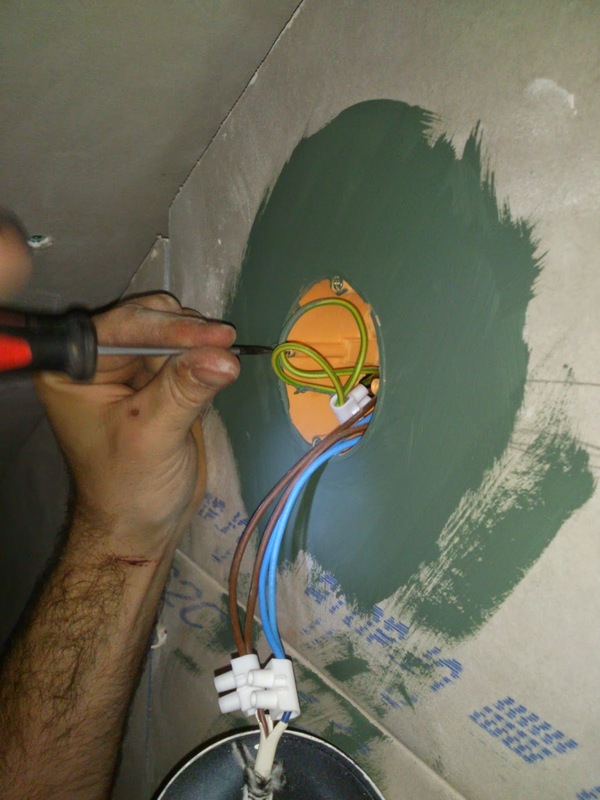 *As we were going to install these on plasterboard, we decided to use a plastic box that is normally used to install an electrical outlet on plasterboard. 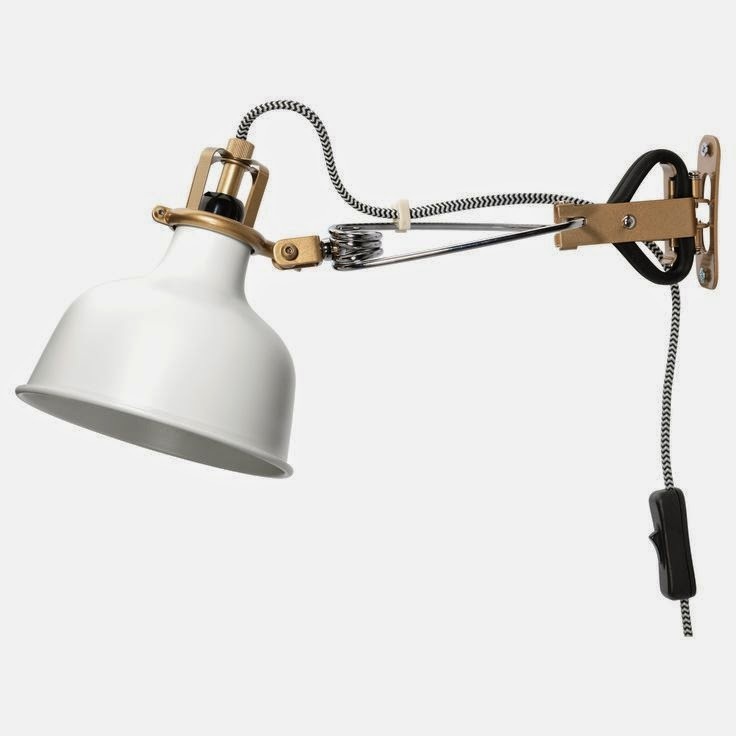 It works perfectly for these lamps, serving as a deep receptacle for cables and connectors. So the holes we drilled on the dish for attachment to the wall were 7 cm apart, the distance dictated by the screws on these orange boxes. 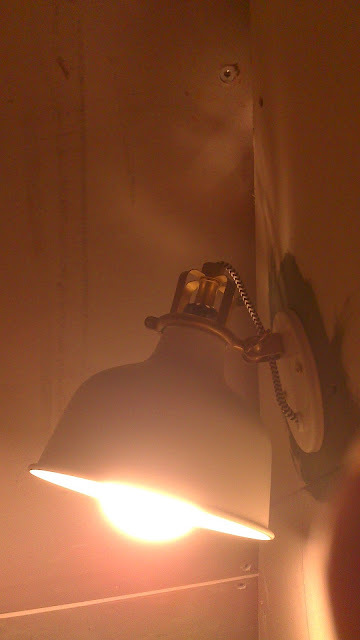 When it comes to the lamp itself, I cut the lamp's cord halfway between the socket and the switch. 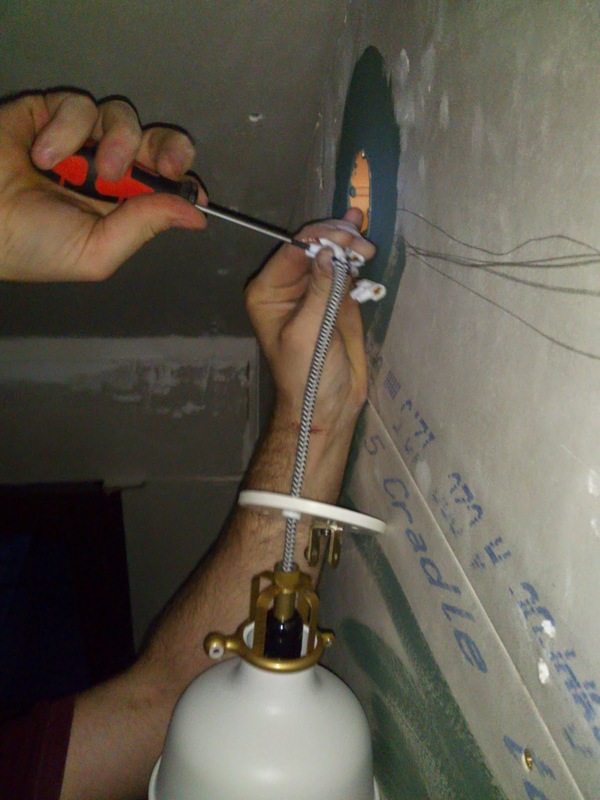 Not much cable is needed for installation on the wall, and this nice cable can then perhaps be used for another lamp later on. 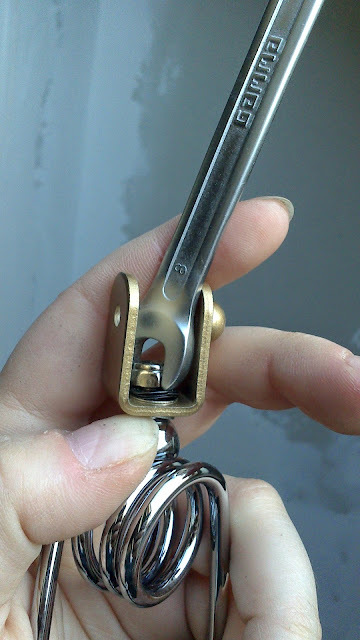 I used the 5mm bolt and nut (I sprayed the head of the bolt with a little bit of black paint because the silvery tone bothered me, but it is barely visible...). I bolted this piece to the 5mm hole in the plate, using one of the black washers on the visible side, and one of the silvery ones on the inside). 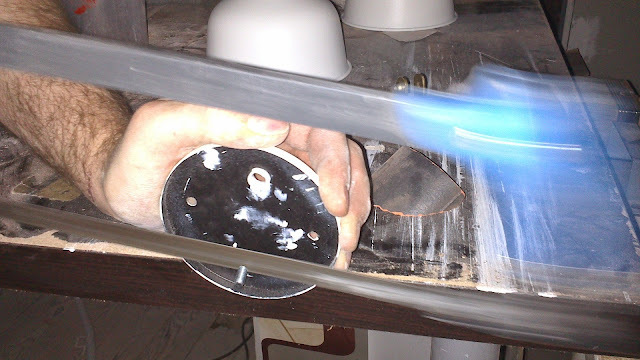 Bolting the attachment part to the plate. 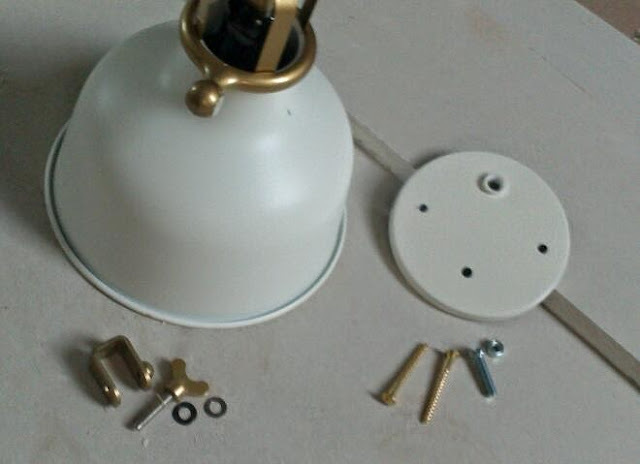 The box comes with it's own screws which we removed. Screwing the plate onto the box. 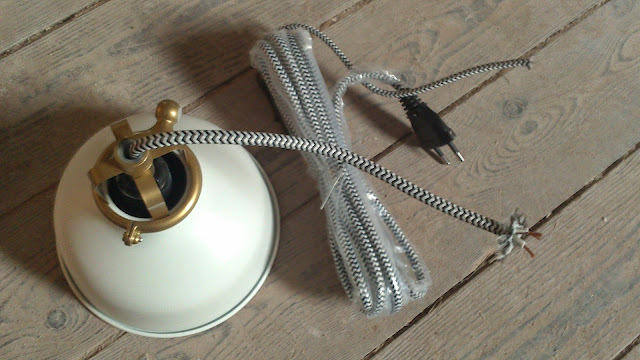 Then finally the lamp can be clamped to the plate with the golden wingnut, being careful to catch the cable behind the lamp, and it's done!